Hello. I am a new trial MacOS user. I want to have a single backup plan that automatically backs up to three destinations: one firewire-connected HD, always connected; one HD that I will connect via USB either once a month or once every several months and then move offsite; one of the cloud services. Can I do this in a single backup plan? I don't need or think I want compression or encryption when sending to the two local HDs. (I have already completed full backups uncompressed to the two HDs.) But I want compression for sending to the cloud service and am undecided on whether I need source encryption (zero knowledge) for the cloud service. Can I get compression and possibly source encryption for sending to the cloud service, while not for local destination HDs, in a single backup plan? Which, if any, of the cloud services supported for MacOS support server-side encryption (which might be good enough for me)? FYI, I am running MacOS 10.9.5 and a formerly happy CrashPlan user before they abandoned my OS. 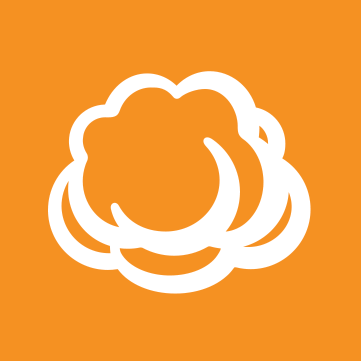 In CloudBerry Backup only one destination per plan is allowed so you will need 3 plans in this case. Then you can set compression and encryption only for the cloud plan, while leaving local backups not compressed and not encrypted. Server side encryption is supported for Amazon S3, also Microsoft Azure enforces it (so it's always active). Let me also inform you (because it's hard to find it now) that we have a number of Help articles that might be useful. My set of source files is quite complicated. 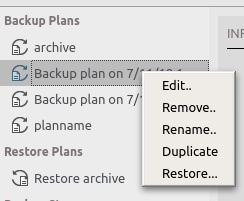 Is there a way that I can duplicate my plan to get all the source file information and then change the destination of the duplicated plan? Yes, there is a way if you use the GUI. Thank you. I hadn't tried right-click. Great. Will Amazon Glacier also support server-side encryption? Is there a target for when Amazon Glacier will be available for the Mac platform? Thanks. , well not the Amazon Glacier but you can leverage Amazon S3 "Glacier" storage class, and that one of course supports Amazon server side encryption.